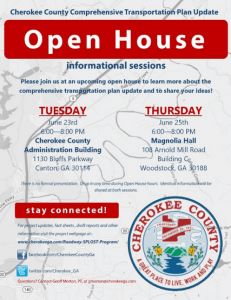 There are two upcoming open house opportunities for the general public to find out more about the Comprehensive Transportation Plan for Cherokee County. The Roadway/Special Purpose Local Option Sales Tax (SPLOST Tax) or Roadway/SPLOST Program involves a Comprehensive Transportation Plan. 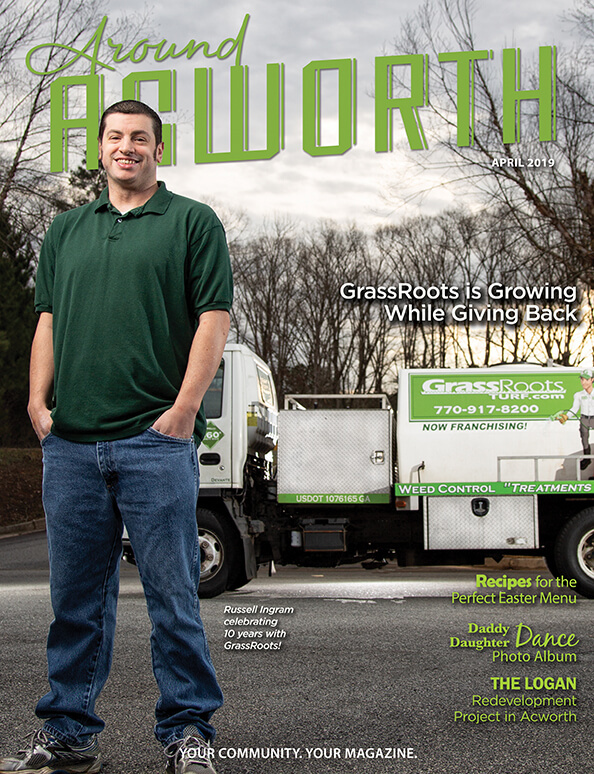 Transportation is an important factor when it comes to the growth and organization of Cherokee County. 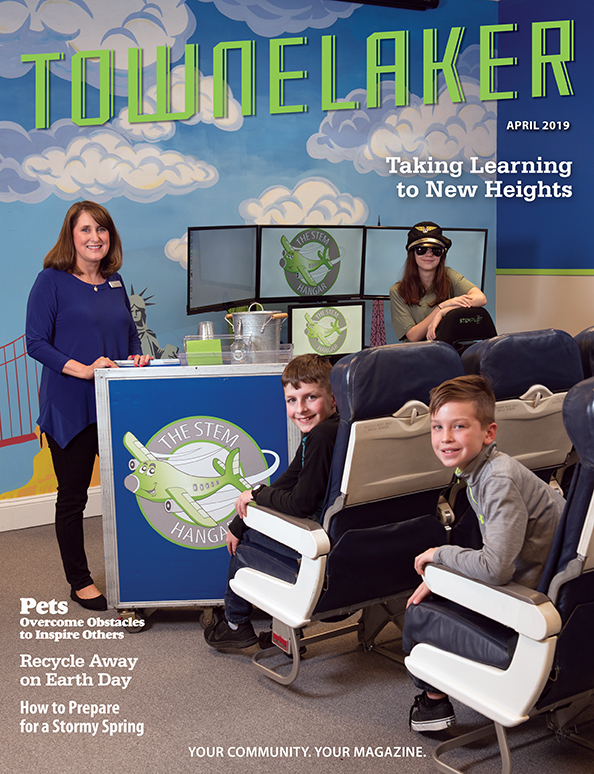 There are many factors to consider when looking at the transportation needs of those that work in, live in, and visit Cherokee County. Residents of Cherokee County are encouraged to attend the upcoming informational sessions and open houses. 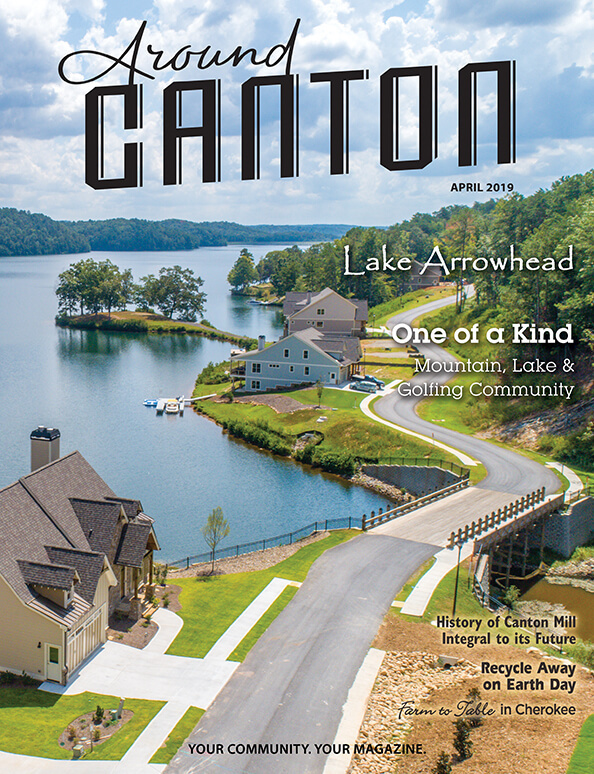 The first will take place on Tuesday, June 23rd from 6-8pm at the Cherokee County Administration Building located in Canton at 1130 Bluffs Pkwy. The second will take place on Thursday, June 25th from 6-8pm at Magnolia Hall located in Woodstock at 108 Arnold Mill Rd. For more information regarding the project timeline and related documents visit the Cherokee County Roadway/SPLOST program information page online.